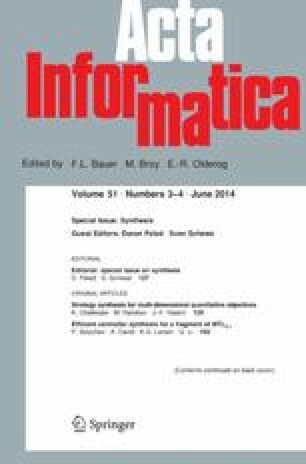 Multi-dimensional mean-payoff and energy games provide the mathematical foundation for the quantitative study of reactive systems, and play a central role in the emerging quantitative theory of verification and synthesis. In this work, we study the strategy synthesis problem for games with such multi-dimensional objectives along with a parity condition, a canonical way to express \(\omega \)-regular conditions. While in general, the winning strategies in such games may require infinite memory, for synthesis the most relevant problem is the construction of a finite-memory winning strategy (if one exists). Our main contributions are as follows. First, we show a tight exponential bound (matching upper and lower bounds) on the memory required for finite-memory winning strategies in both multi-dimensional mean-payoff and energy games along with parity objectives. This significantly improves the triple exponential upper bound for multi energy games (without parity) that could be derived from results in literature for games on vector addition systems with states. Second, we present an optimal symbolic and incremental algorithm to compute a finite-memory winning strategy (if one exists) in such games. Finally, we give a complete characterization of when finite memory of strategies can be traded off for randomness. In particular, we show that for one-dimension mean-payoff parity games, randomized memoryless strategies are as powerful as their pure finite-memory counterparts. Thanks to D. Sbabo for useful pointers, V. Bruyère for comments on a preliminary draft, and A. Bohy for fruitful discussions about the Acacia+ tool. We are grateful to the anonymous reviewers for their insightful comments. Krishnendu Chatterjee is supported by Austrian Science Fund (FWF) Grant No P 23499-N23, FWF NFN Grant No S11407 (RiSE), ERC Starting Grant (279307: Graph Games) and Microsoft faculty fellowship. Mickael Randour is supported by F.R.S.-FNRS. fellowship. Jean-François Raskin is supported by ERC Starting Grant (279499: inVEST).